Hair loss is a physiological process, which can be reduced through preventive actions. Eley Laboratories have developed an intensive program in two phases, with the aim to reduce and contrast hair loss. Specific shampoo to prevent hair loss, strengthening the hair. It restores vigor and vitality from the roots up to the tips. It carries out a reinforcing and stimulating action on the hair bulb. It soothes the skin, giving a feeling of freshness. 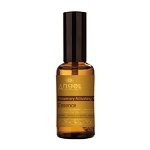 Organic Horse Chestnut Extract : Strengthening, Anti-Inflammatory. Fortifying Complex (Menthol, Guarana Extract, Organic Echinacea Extract). Energizing, Invigorating, Stimulating. Aqua (Water), Sodium Coceth Sulfate, Cocamidopropyl Betaine, DisodiumLaureth Sulfosuccinate, Aesculus Hippocastanum (Horse Chestnut) Seed Extract, Paullinia Cupana Seed Extract, Echinacea Angustifolia Leaf Extract, Menthol, Parfum (Fragrance), Polyquaternium-10, Citric Acid, Sodium Chloride, Glycerin, Magnesium Nitrate, Magnesium Chloride, Methylchloroisothiazolinone, Methylisothiazolinone. 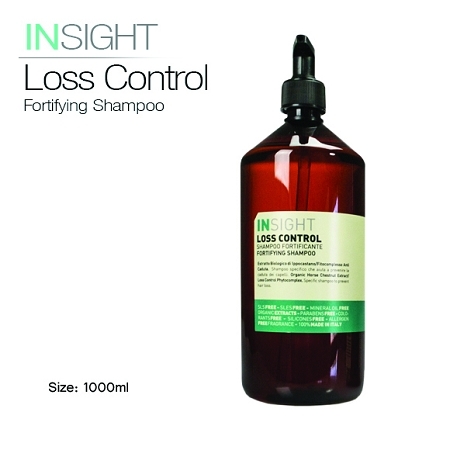 Can I buy Anti Hair Loss Fortifying Shampoo 1000ml next time? ?